An inevitability in the age of algorithms is that people are going to try and find ways to 'hack' them, to cheat the system, to get an advantage based on whatever tools they think they have available. Of course, that approach makes sense - if you can get your business more exposure, why wouldn't you? This is particularly true of platforms like Facebook, which now reaches 2 billion people. If you knew a way to cheat Facebook's News Feed algorithm and boost your reach, you'd do it, especially since Facebook organic reach for Pages has declined so significantly in recent times. Unfortunately, good 'hacks' are hard to come by. I use the term 'hacks' in inverted commas because most of these aren't hacks, as such - hacks, in a more literal, tech-related context, relate to sifting through lines of code and finding a way in, based on in-depth data knowledge. No, these aren't so much 'hacks' as blunt force efforts to 'game' algorithms, cheat codes that kind of work, but kind of don't, dependent on your real-world goals. And real world goals are, really, the only goals worth talking about. While many of these processes might help you improve your on-platform performance, in terms of vanity metrics, it's the end goal numbers - the actual sales - that you really need to monitor. Here's an overview of some of the more well-known 'hacks' on various platforms, and the positives and negatives of each. This is probably the classic social media marketing 'cheat'. The market for buying fake followers has exploded in recent years, and is now a multi-million dollar industry. And unfortunately, there is a real-world use case for fakes. Whether you like it or not, the number of followers and Likes a page or person has does make a perceptive difference. Back in June, I wrote a post about how models, for example, are being refused work until they've crossed a threshold of, say, 15k Instagram followers. In cases like this, you can see how buying fakes is almost incentivized, while for businesses starting out in social at this stage of the game, it can also seem appealing to pump up their stats with a few thousand fakes, at least as an initial base. The problem is that buying fakes can hurt your brand a lot more than it may seem. First off, it's against platform practices, and if you get caught, your page could get banned outright, negating your efforts completely. Second, it ruins your data insights - one of the key benefits of social media marketing is the access to audience insights you can gain, to help you learn more about your target market and their preferences. If your audience is all fake profiles, then that data is worthless, and it can be extremely hard to go back and remove the fakes at a later stage if you should want to fix it. But third, it's getting easier and easier for people to find you out. You might think that no one really pays that much attention, that you can get away with a few fakes and no one will notice - and maybe that's true. 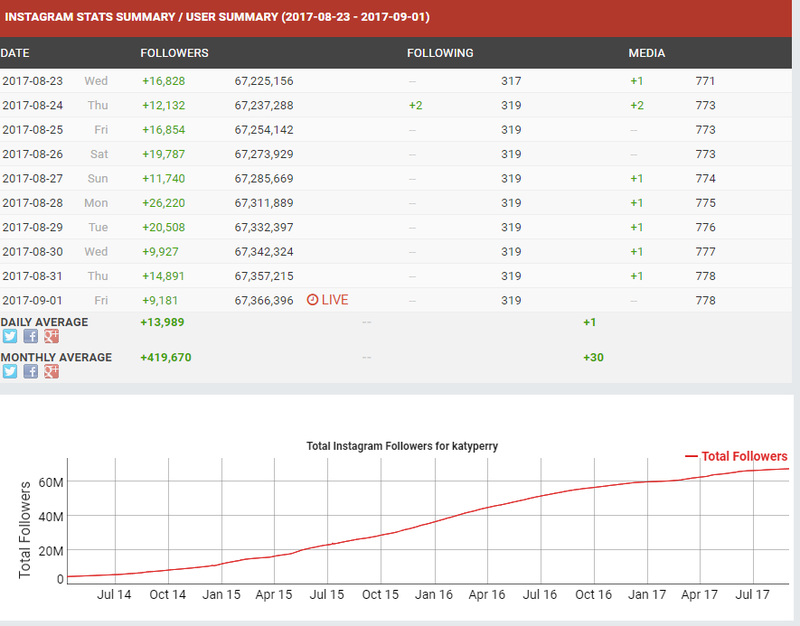 But there are tools like Twitter Counter, Fanpage Karma or SocialBlade which can highlight odd fluctuations and activity, pointing to suspicious methods. These aren't definitive, and not everyone will utilize such tools. But someone might - and it only takes one to call you out and ruin your reputation. In most cases, it's fairly obvious who's legit and who's not, and users are growing more wary of such tactics. It might seem like a good way to go, but I'd definitely advise against it. As social media becomes a more important element in modern business process, the value of your social presence is also increasing in-step. It's simply not worth risking for the sake of vanity metrics. One of the more recent additions to artificial social stats inflation is Instagram 'pods', or groups of people who agree to like and comment on each others' Instagram posts in order to boost their reach in the algorithm. The process is fairly simple - Instagram's algorithm, which was introduced early last year, puts more emphasis on engagement. If your posts generate engagement, they're more likely to show up higher in people's feeds, and within Explore, which means you need to get Likes and comments, particularly in the early stages, right after posting, in order to get the algorithm's attention and thus, get more reach. This is the theory behind pods, which are groups of generally 20-30 people or businesses who all agree to like and comment on each others' posts, boosting their engagement numbers and expanding their reach. The pods process does make sense in terms of basic engagement - and yes, the algorithm does favor engagement. But the theory falls apart a little in the ongoing benefits. You see, Instagram's algorithm, like the Facebook News Feed, is built to show you more of what you engage with and are interested in. The idea of pods is that you boost your chances through engagement alone, but that probably doesn't work for expanding your reach beyond the followings of your fellow pod members. 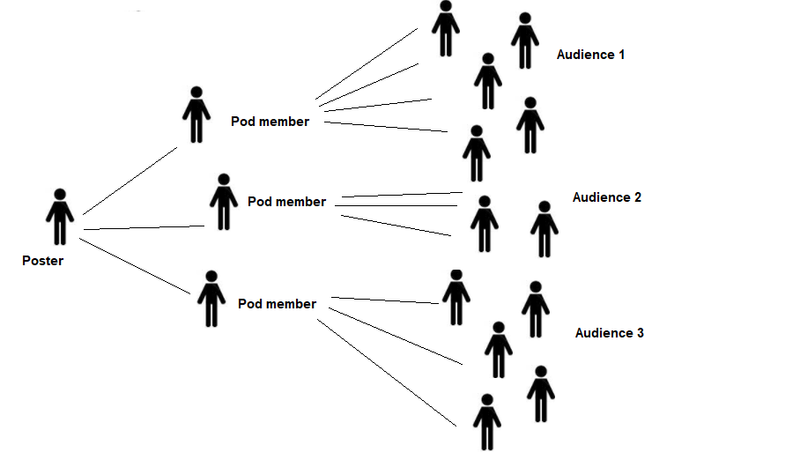 Look at this way - the idea of pods generating more reach into News Feeds is based on each pod member engaging, which, ideally, shares it further into their expanded network. That might work, but it'll still be limited to those audiences, and unless each of member of your pod has a highly engaged audience who are also interested in what you're selling, that reach will tail off pretty quick. In this sense, pods could still work if they were very targeted - but then again, the less their extended network engages with the content coming through, the lower the reach, and not only for each individual post, but for each subsequent post from those members also. That could leave you with a heap of comments and likes from pod members, boosting your vanity stats, but no real engagement - or conversion. In terms of appearing higher on Explore, Instagram's actually tuned that in pretty well also - your Explore section will show you more of what you're engaging with, not random content based on engagement alone. Sure, content similar to what you've been checking out, which also has a lot of engagement, will appear higher, and definitely there'd be some benefit for specific searches related to your target terms. But again, if your content isn't good, it won't make any difference how many artificial comments and Likes you've got. Real people - the ones who aren't part of your pod - will only engage with what they like, even if it is being pushed into their feed. It's questionable as to whether that's even happening, or whether pods will only inflate your vanity metrics, but regardless, the important element to keep an eye on is actual website visits. Actual conversions. At this stage, based on anecdotal evidence, pods don't seem to be hugely effective in driving bottom line results, but it's possible that highly targeted, niche-specific pods could help boost exposure. Still, I'd approach this strategy with some skepticism, and a very keen eye on your actual target metrics. Here's another newer 'hack' which has come up on Twitter since the introduction of their feed algorithm - you may have noticed that some people are liking and retweeting themselves at a higher rate. 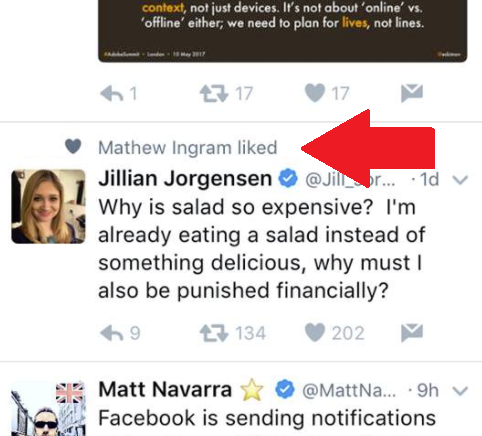 That's because Twitter's algorithm expands the reach of your content by improving the exposure of tweets which are generating engagement. So it makes sense that to try and give yourself a boost, you should add to your own metrics where you can. Actually, this one does appear to make sense - Twitter's algorithm is nowhere near as refined as the one on Facebook or Instagram, and can be easily influenced by even basic signals. For example, if you don't like seeing tweets which people you follow have replied to in your feed, check the 'I don't like this tweet' box just once or twice on the offending tweets and they'll disappear completely. Unlike Facebook, which takes into account a much wider range of factors, Twitter's algorithm is more basic, and therefore more easy to impact with smaller efforts. So liking your own tweets will actually increase your reach, boosting your chances of showing up twice in your audience's feeds - once on the initial tweet, and a second time when it may come up as 'John liked'. Of course, it helps if that tweet has also generated a lot of engagement, but as noted, Twitter's algorithm is a bit more sensitive to such actions, and therefore can be more influenced. 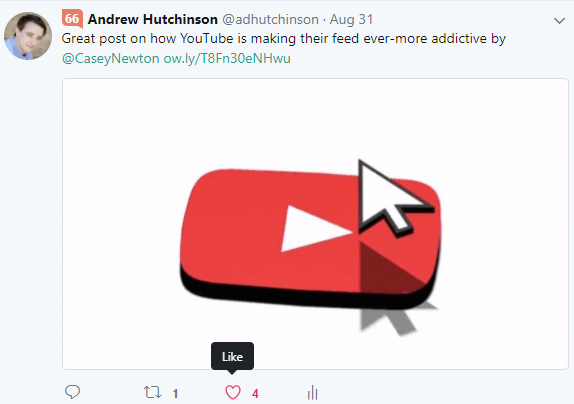 This also means that there's benefit to liking and replying to all tweets - which Twitter benefits from anyway, so they won't discourage it - but every time you do engage, in any way, you improve the chances of your tweet being seen again in the feeds of your audience. I suspect Twitter will look to refine their algorithm over time, but given the engagement boosts they're seeing at the moment, they're trying to find more ways to use algorithm-driven methods where possible, so there may be opportunity in this approach for some time yet. These are just some of the many 'hacks' going around, which as noted, are mostly not 'hacks' but simple workarounds and tactics to help boost your presence. And all of them, in some ways, are effective, they can provide benefit in some capacity - they wouldn't be utilized at all if not. But you also need to take into account the associated risks, and consider their alignment with your actual goals, beyond simply boosting your social numbers. Definitely, there's benefit to that also, but the key metrics you really need to shift are probably not likes and followers. The one you really need to impact are measured in dollars and cents. What are the metrics that lead to website visits, conversions, revenue growth? If you track those numbers and they don't shift, regardless of what your social analytics might say, then you're probably on the wrong track. And it may take more than a few 'hacks' to fix.